Bruce Anstey is always one to watch, and at the 2009 Isle of Man TT all eyes were on the Kiwi in every race. The TAS Racing star was determined to take a big bike victory at the TT, and after some stunning performances in practice on the 1000cc Relentless Suzuki Anstey looked good for a win. He finished practice week third fastest on the Superbike, with a 130.129mph fastest lap. Unfortunately, Anstey suffered a turbulent TT2009 and saw any chance of victory cruelly snatched from him by mechanical problems in all but one race, and a podium finish in the second Supersport event his only real high point from the festival. 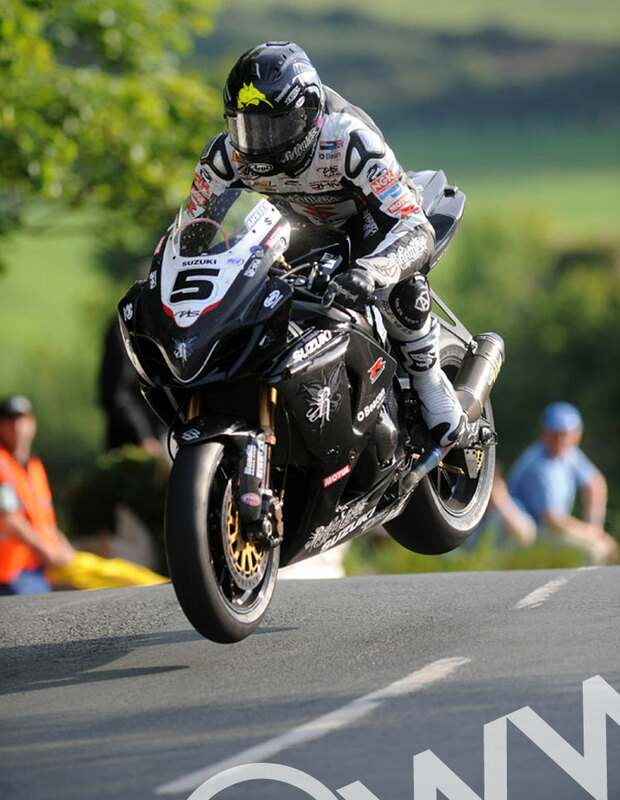 This stunning image shows Anstey leaping Ballaugh Bridge on his TAS Superbike during practice. It was captured by renowned road racing photographer Stephen Davison.